Wellness therapists need to properly manage their clients’ appointments to acquire and retain customers. Here are the benefits offered by mSpa App for wellness..
Spas and Salons are fighting to get more customers and retain them. Here are the digital ways to promote your Spa. 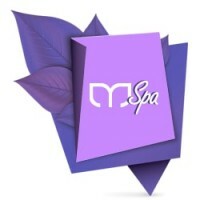 mSpa -An Appointment booking app that helps..
How an Appointment Booking App Will Help Spa Business? Spa business faces tough challenges in bringing in Walk In customers. Our iPhone and Android app allows clients to setup an appointment from their smartphones. W2S Solutions built an Android and iPhone app that helps Spas, Salons, Wellness Centres, Fitness Centres to attract more walkin customers. Hesitant to lose a customer just your Spa or Fitness or Wellness center is busy serving others? Why don’t you use our mobile app to let your customers book an. W2S Solutions WordPress designers offer customized WordPress Sites for Business, Startups and Entrepreneurs. Our Branding designers and developers build awesome web designs that stands out from competition. Reasons: Why Your Business Should Switch to WordPress? OCR Reader Apps - Is It Successful Technology or Still In Its Infancy?